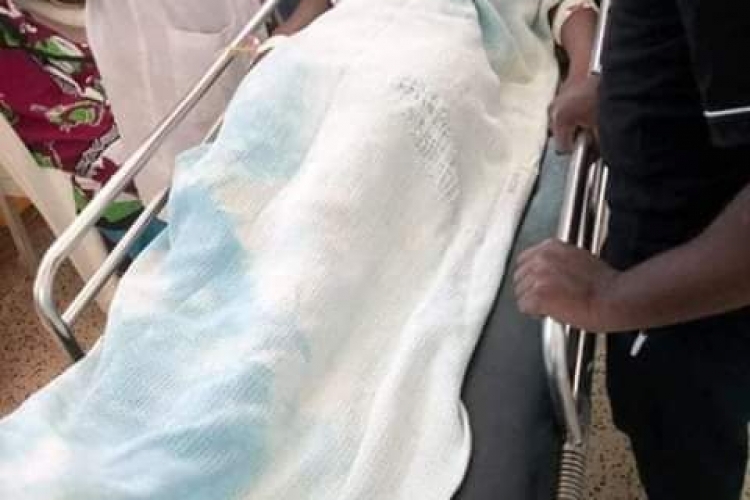 A Pwani University student is fighting for her life at the Kilifi Referral Hospital after she sustained serious wounds inflicted by a man who stabbed her several times. The police claim that the two have a child together. Ms Naomi Chepkemoi, a third year student of Public Health, was stabbed by the man after an argument ensued in her house in Kilifi Town. The maniac, according to the Kilifi County Police Commander Patrick Okeri, traveled hundreds of kilometers from Nairobi on Sunday to commit the heinous act. The police were alerted of a situation in a house in Kilifi Town and on arriving there they realized that the man had locked himself and the women in the house. They forcibly gained entry and rescued Naomi Chepkemoi. The stalker reportedly traveled to Kilifi to demand answers on why the lady had returned the Sh3000 he had sent her for their child's upkeep. This is after allegedly traveling to Bomet where the girl's parents refused to let him see his child due to his madness tendencies. When the woman told her that her parents had told her to end their relationship, he stabbed her severally with the aim to kill. This incident is very similar to what happened to Ivy Wangechi who was fatally hit by an axe by a man who had been stalking her for months. The man had also similarly traveled from Nairobi to kill the medical student. Femicide cases have been on the rise in Kenya over the past few years. Many have been demanding that the government steps up its effort to curb the violence and murder orchestrated against women in the country. The Kilifi suspect will be arraigned in court today.